What Kind of Training Do Acupuncturists Need? Have you ever wondered how much training acupuncturists receive? The answer may surprise you. Acupuncturists in the U.S. spend several years learning the techniques that help reduce pain, lower blood pressure, decrease infertility, heal plantar fasciitis and control diabetes. What Types of Degrees Do Acupuncturists Have? Acupuncturists must have a minimum of a master's degree in order to practice. The length of time needed to complete the degree varies depending on the specific program. Completing a master's degree in acupuncture usually takes about three years. Some colleges offer four-year master's degree programs in Oriental Medicine which combines acupuncture studies with Chinese herbal medicine. Doctoral programs are also available for acupuncturists who want to complete advanced studies or specialize in a particular area of acupuncture or Oriental Medicine. What Prerequisites Are Required for Admission into Acupuncture Colleges? Just like other health professionals, acupuncturists must complete a rigorous educational program before becoming licensed to work with patients. 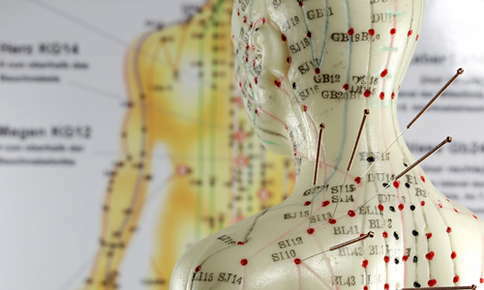 Many schools require aspiring acupuncturists to complete bachelor's degrees with coursework in chemistry, biology, psychology and other relevant courses. Some programs offer a combined bachelor/master's program that only requires the completion of 60 college credits for admission. The Accreditation Commission for Acupuncture and Oriental Medicine (ACAOM) is the accrediting body for colleges that offer programs in acupuncture and oriental medicine. The Commission's oversight ensures that the educational programs meet strict standards and provide a high-level of instruction. What Classes Do Acupuncture Students Take? How Do Students Learn to Work with Patients? Applying information learned in classes to real-life situations is a crucial step in the educational process. Acupuncture students first observe practicing acupuncturists before working with their own patients. During the observation phase, students may also participate in care by offering massage, cupping or other treatments that don't require needling. After a few years of observation, they become interns and see patients in the school's clinic. Working in the clinic gives them exposure to a range of patients and diagnoses and allows them to offer acupuncture treatments under the supervision of faculty members. Colleges may also offer practicums and off-campus clinical rotations at acupuncture practices as part of students' hands-on training. Acupuncture students are also required to take research classes and work on research projects, either by designing their own projects or working with other students and faculty members. What Are the Licensing Requirements for Acupuncturists? Acupuncture offers an effective to improve your health without medications or surgery. Thanks to the expertise and education acupuncturists receive, they're qualified to diagnose and treat a range of conditions that can affect your health. Have you been considering acupuncture treatment? We offer compassionate, skilled care designed to relieve your pain or alleviate your symptoms. Call us today to schedule an appointment.